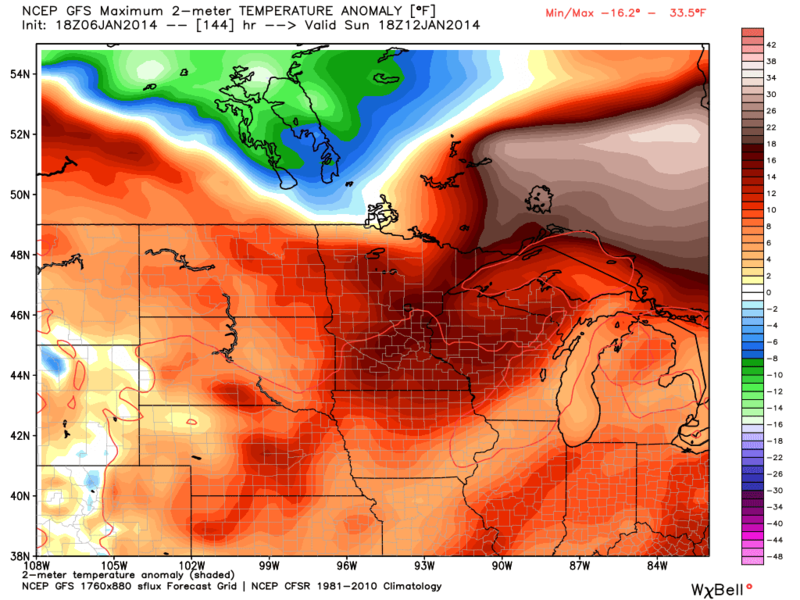 Midwest Winter Weather Blog: "Warm" Weather Ahead, Can this Exist? Not that the cold snap of the decade is finished up, it's not, but let's talk about something many people will want to hear. Warmer weather on the way. In the meantime, just look at the temperature anomalies on your left. The departure from average. The map is valid for around 6:00pm today. 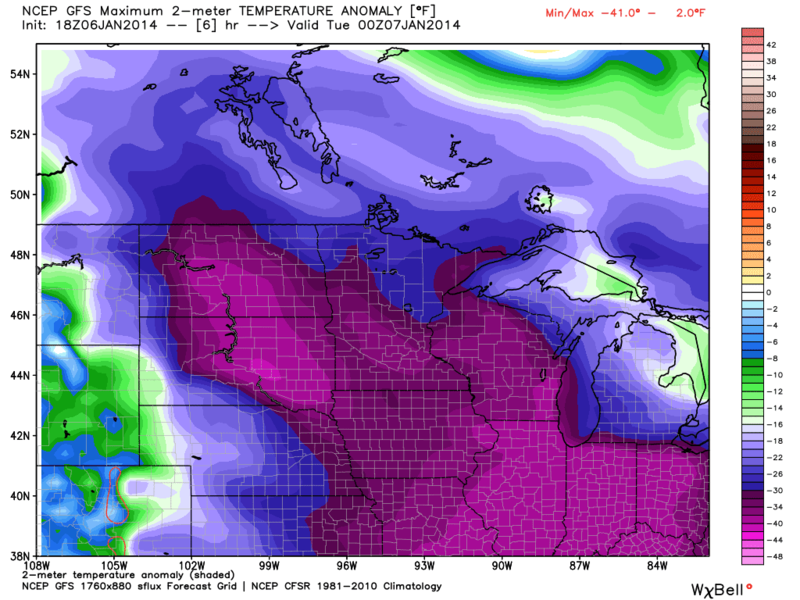 The purple shading is 30-40 coldest than average temperatures, that's a full season difference in temperature! In fact, some places in Alaska were nearly 60 degrees warmer than much of the Midwest today! -15 vs 45. Anyways on the warm up. I can't say this will be a historic warm up, nor can I say records will in danger, but I can say this will be the first January thaw of the year for many places. Temperatures will run 5-15 degrees above average on Friday, Saturday, and Sunday! This will net temps in the 50s for southern areas, 40s central, and 30s in the north. This is a general forecast, but everyone will be above average by the weekend! Just make it through the next couple days, and mother nature will reward you!